Wednesday, June 27, is National HIV Testing Day. And to honor the day, pharmacy chain Walgreens has partnered with Greater Than HIV to offer free HIV testing in more than 180 cities across the United States. 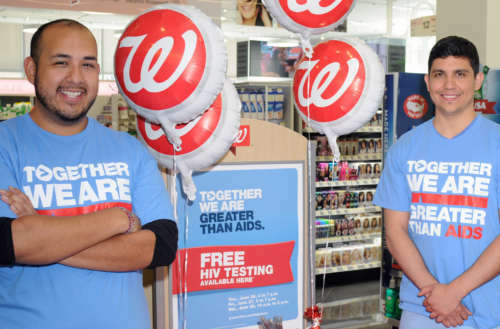 Walgreens has offered free HIV testing as part of National HIV Testing Day since 2011. 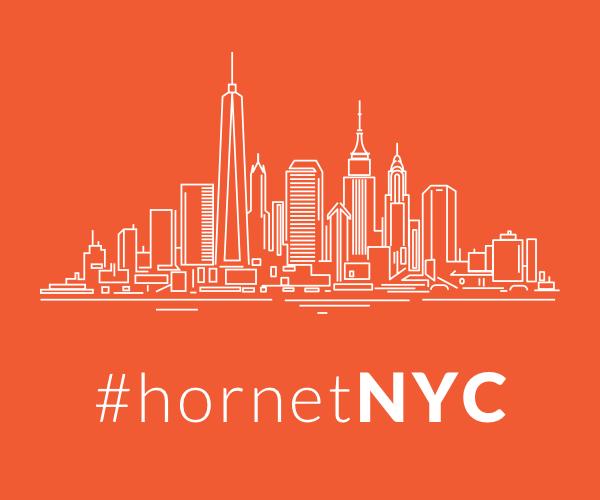 Over 40,000 HIV tests have been conducted since 2011, and in 2018 more locations than ever are offering free testing from kits donated by BioLytical Laboratories and OraSure Technologies. The pharmacy chain is also partnering with 220 local health departments and HIV organizations. In addition to the tests, Walgreens locations will also be hosting counselors to answer questions about HIV prevention and treatment options. Patrons won’t need an appointment to take advantage of the free HIV testing, and results will be given on-site. The CDC recommends HIV testing for everyone as part of routine health care. According to CDC statistics, 1.1 million Americans live with HIV. Approximately one out of seven of those people are unaware they’re HIV-positive. Walgreens has long been devoted to providing information on HIV. 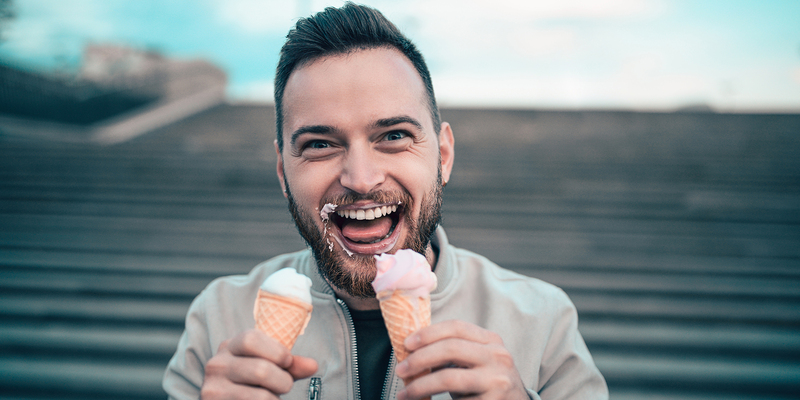 HIV-trained pharmacy staff are available at over 1,000 Walgreens locations and can offer one-on-one confidential counseling about medication, as well as help positive people with finding financial assistance options. Greater Than AIDS has a special site where patrons can find the participating Walgreens nearest them. Free HIV testing on June 27 is offered from 10 a.m. to 7 p.m., though Greater Than AIDS also offers an index of other local organizations offering free or low-cost HIV testing year-round. 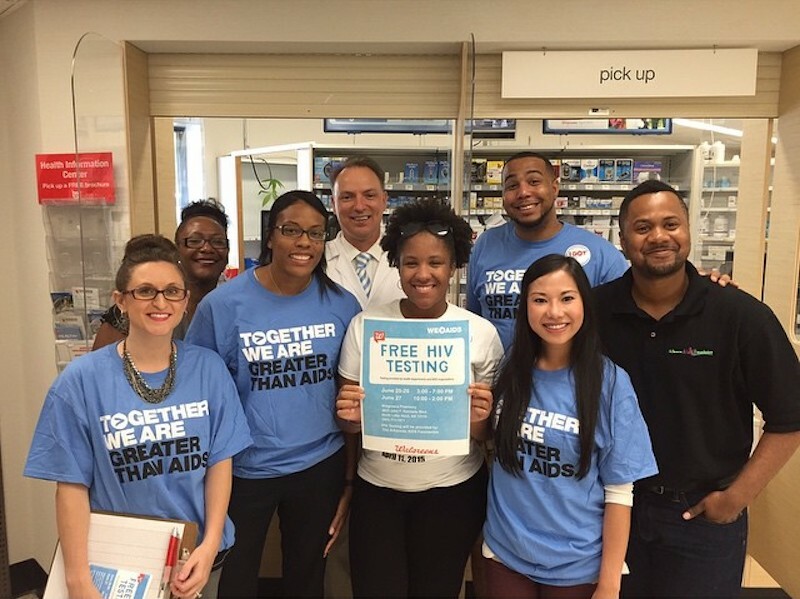 Check out which Walgreens location near you is offering free HIV testing here.